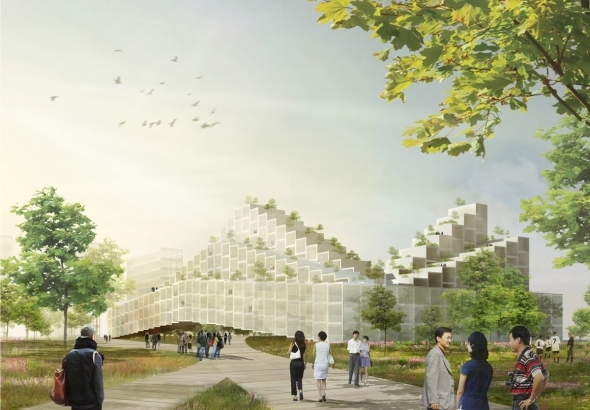 Danish HAO / Holm Architecture Office together with Archiland Beijing has won the competition to design a master plan within the city of Qingdao, China. In addition to its famous Tsingtao beer, the city of Qingdao has long been a key tourist and film production destination in northern China. A rich mix of historic buildings makes it a sought after movie shoot location, while its proximity to some of the best beaches in northern China attracts millions of tourists every year and helped its successful bid to host the Olympic Sailing competitions in 2008. The design for the Qingdao Master Plan seeks to further develop and expand the existing elements of the city; the site is situated within the city of Qingdao and is conveniently located five minutes drive from the airport. The site is divided into three main areas separated by existing roads. Site A is defined as a new cultural center with sites B & C comprising of mixed use residential program. To link the three areas together, the design takes its starting point around a sunken cultural path that leads visitors through the entire programmatic experience of the new master plan. 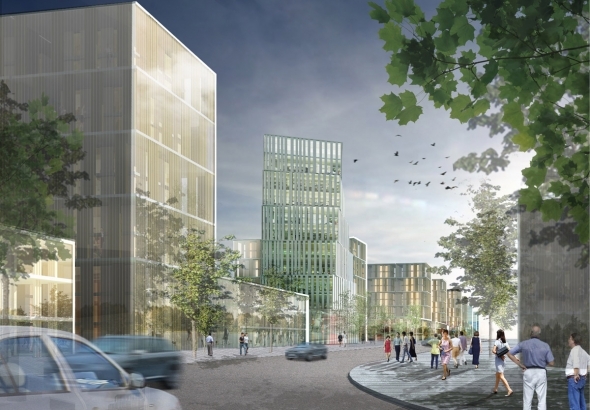 The main access to the new Culture Path is situated at the North West corner of the site and is anchored by a new five-star hotel development. Several additional entry points to the cultural path are established throughout the site are demarcated by key landmark buildings that define the experience the nearby surroundings. Sites B&C create a diverse urban mix of high, medium and low-income housing set in a lush landscape. Within the residential area, community and recreational programs such as kindergartens and sports facilities are placed throughout to activate the area as a whole and create unique neighborhood experiences. Each of the residential units in sites B&C are situated to maximize use of sunlight and natural ventilation, helping to guarantee comfortable living conditions for the future inhabitants. “With the Qingdao Master Plan we propose a plan with a rich mix of typologies. The goal is to create a large variety of different experiences for all income groups, all benefitting directly from access to the new Cultural Path," says Jens Holm, Founder HAO / Holm Architecture Office.